It is difficult not to compare Nepal to India and that comparison is no less obvious than with the dog situation. You will see dogs everywhere in the Kathmandu Valley. They aren’t so bad during the day, but shortly after dark you will want to keep a wide breath between you and dogs while walking back to your guest house. "What's a goat doing at the temple," you ask? At certain times of the year you can see and hear many additional animals at the temples. It seems all the local Nepali who own property have at least one dog. It is funny to me to see rice and vegetables being fed to dogs, but packaged dog food doesn’t really exist here and many domestic dogs are literally turned out each morning to roam the streets. Other dogs are kept at home, but the chains they are tethered to are often too short to keep the dog safe. This beautiful dog protects a local furniture factory in my neighborhood. During many festivals dogs get a tika and this dog just looked so ‘Hindu’ that I had to capture it. The owner of the shop has been very kind to me by letting one of my helpers make a couple of futon beds for me. I had hoped they would see the value for this type of furniture and perhaps start making them locally. As you can see by this photo, the dog is on a very short chain. This poor dog was so pathetic, eaten up with mange and who knows what else. He had very little hair and his ears were just crusted over so badly it melted my heart a bit, even though I am not a dog lover. This is the plight of many of the dogs that roam the street. Sometimes NGO’s from the west do a neuter and release project, but this one and the vast majority of dogs have all their body parts. As you will see from the following story, it is very expensive to adopt a dog in Nepal to take back home. My frugal suggestion for an alternative would be to take a portion of what it would cost to adopt a dog here and donate that money to an NGO that does projects like neuter and release or sheltering these dogs for adoption. There are natural positive benefits from so many street dogs, such as fewer snakes and rats, but they can keep you up all night with the barking and of course the situation is more negative than positive. I suggest adding ear plugs to your list of things to bring. 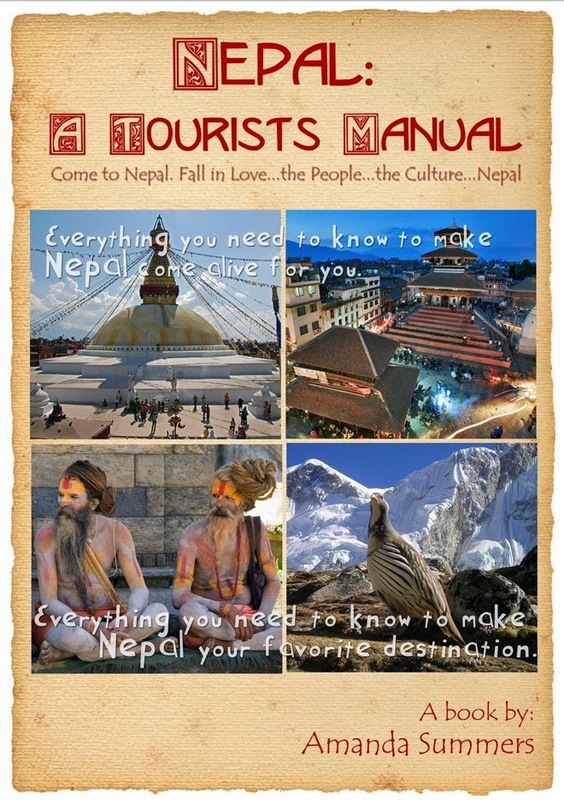 I have an extensive list of things to bring and things to leave at home in my book, Nepal: A Tourist's Manual. I recently read a forum post about taking a rescued dog back to Europe. Although it is a lovely thought to take one of these animals off the street, it is extremely expensive and will take time from your daily vacation activities to deal with it. One British man, Brian, who adopted a dog here in Nepal told me about all he had to do to get her back to the UK. According to his experience, he took the dog to the vet to get her micro chipped and rabies vaccination. A blood sample needed to be sent to a UK lab for analysis, and their report returned back to Nepal; that information went right into the micro chip. The vet needed to fill out a health certificate stating that the dog was in good health. 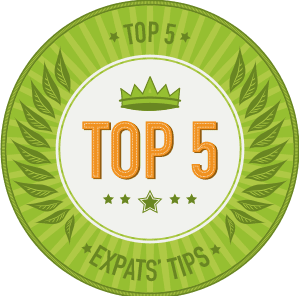 You will need to bring all the dog’s health records to make sure everything is up to date and then give the dog worm medicine for 4 days prior to leaving Nepal. In this case, Molly flew Qatar Air via Doha to London Heathrow. He used Eagle Cargo, which is located near the back the square to the right of the KTM Guest House in Thamel. He bought a special dog-carrier at Bhat Bateni Supermarket in Kathmandu (There are five locations for this modern store). Ask at any cargo company about the requirements from your country and check your embassy’s web site. Nepali really hate to give you bad news, which can cost you a lot in the long run, so do not just take their word for it. For UK regulations regarding the import of live animals and the UK PETS scheme see the DEFRA website -- these may be the same regulations throughout Europe, but be sure to check thoroughly in advance. Brian’s experience was that the dog’s flight was more expensive than his own. He told us that he had spent nearly $3,500 US on labs, blood test, vet reports, carrying cage, airline ticket, etc. But Molly is now with him, living in Spain and she is very happy not to be in Nepal, so it was all worth it for Brian. Although Eagle Export Cargo of Thamel helped Barry and Molly, most of the shipping companies in Kathmandu can prepare all the documents and help you through it. You can mail Eagle Export Cargo(eagleandsunnepal@gmail.com) for more information. This picture was taken from my window. I had never seen such a site and the person staying in the apartment upstairs was just as disturbed as I was. I post it here to illustrate the point that there is a real need for funding, if anyone is so inclined. Thank you so much for posting this article. Although I am personally not a dog lover, there are many dogs in Nepal that need help and many visitors who want to help them. So I went ahead and completed a quick Google search for local animal rescue organizations in Kathmandu. These are just a couple of the organizations that provide support for street dogs in Nepal. I would love to hear if anyone has any experience with the animal rescue organizations in Nepal. Maybe someone has donated, volunteered, or visited these organizations? Again, thanks for the post! Just the other day I was walking through Ratna Park in Kathmandu and came across a badly injured dog. On the way back to the bus, it was clear that the dog was going to die. My friend and I wanted to help, but we didn't know how to help. Hopefully, we can spread the word and get more animals the help that they need. This is very nice post! Thanks for sharing this it is wonderful article.